Overview: Among the most prolific of anime composers, Yoko Kanno stands as one of the most loved and sought-after songwriters in the industry. Her works are particularly notable for covering a huge swath of genres; from the pumping synth-techno of Ghost in the Shell: Stand Alone Complex to the sweeping spiritual chanting of Earth Girl Arjuna, Kanno dabs her compositional brush into many styles. Arguably the most famous of her scores is that of the jazzy Cowboy Bebop, likely many peoples’ first encounter with Kanno and the soundtrack with which she is most frequently associated. In addition to her anime works, she’s composed music for commercials, live-action movies, and several video games. Lastly, she’s also an excellent J-pop composer, whose works have been performed by such high-profile artists as Maaya Sakamoto, Crystal Kay, Aki Okui, and more recently, May’n and Megumi Nakajima in the latest installment of the Macross franchise. In case you’re here to only listen to the soundclips and not read any of the text, below is the master list of all the pieces featured in this profile entry in order. It’ll save time if you don’t want to have to click through each and every track. Of all the anime composers who’ve crossed our paths, none is more draped with an aura of mystery than Yoko Kanno. Despite having composed so much anime music (last count was somewhere around 32 series and movies, including OP and ED themes), not much is known about her aside from a brief glimpse here and there from what other artists and directors tell us. The way in which she conducts herself is best described as eccentric, with a sprightly personality similar to Ed’s from Cowboy Bebop and a tendency to hide her singing prowess by denying that she indeed Gabriela Robin, but there’s no denying the effects her works have had upon audiences. Born on March 19, 1964, Yoko Kanno grew up with music. She started piano when she was very young and, growing up, won many awards and competitions on the instrument. Kanno also had an ear for composing from an early age; amongst her earliest compositions are a song she wrote for a boy she liked in middle school. Despite her interest in music and composition in general, she had aspirations to be a novelist and went to college to study Japanese literature. Setting her priorities straight, she dropped out after just one week to pursue a career in music. After taking up the keyboard, she made her professional musical debut as the keyboardist for the band TESTU100%. From there, she gained momentum and recognition for her work with the group, and began to receive offers to compose for commercials and video games. Kanno’s first foray into the anime music scene was in arranging the ending theme for Studio Ghibli’s Porco Rosso. Her first real task as an anime composer was for Production I.G.’s Please Save My Earth in 1994, where many of her compositions were performed by Akino Arai. Though it still hadn’t established Kanno as a standalone soundtrack composer, it did leave audiences with Kanno’s memorable theme “Memory of Time,” which would get a poignant instrumental treatment in “The Eternal Spiral.” Furthermore, it was through this soundtrack that Kanno would be acquainted with fellow composer and to-be husband Hajime Mizoguchi, with whom she’d collaborate with in future works. It wouldn’t be until the Macross Plus OVA that Kanno would work on a soundtrack by herself and where she would really enter the mainstream fan’s awareness. Macross Plus’s score saw such gems as the patriotically uplifting fanfare in “National Anthem of MACROSS” as well as the serene and introspective “MYUNG Theme,” parts of which seemed like a natural outgrowth of the music she did for Please Save My Earth and would undoubtedly influence her momentous score for Escaflowne. Kanno went on to score the first “episode” titled Magnetic Rose of the 1996 three-part film Memories. To match the serious, intense tone of Magnetic Rose, Kanno drew deeply from the opera canon for inspiration and arrangement, resulting in tracks such as “End” as well as her spin on Italian opera composer Giacomo Puccini’s Madame Butterfly and Tosca. But as far as 1996 goes, Magnetic Rose would be almost insignificant. At least, next to a veritable giant of an anime series which aired during the same year. Escaflowne, released in 1996, was a landmark work for Kanno in a number of ways. First, it marked Kanno’s first joint effort with Maaya Sakamoto, a budding artist with whom she would find herself working with on many future projects. Secondly, she would team up with Hajime Mizoguchi once more. This time, however, she’d be much more involved than in Please Save My Earth. Escaflowne’s score is noted for its eclectic genres, encompassing classical, contemporary/experimental, and even Gregorian-styled chanting. Kanno would compose the bulk of it, bringing forth such memorable themes as “Dance of Curse” and the enchanting “Angel,” though Mizoguchi arguably stole the show in composing the uplifting “Gloria.” Still, the two composers’ works blended well, and Escaflowne’s score continues to be highly regarded as being among the finest original soundtracks of its time. While working on Escaflowne, Kanno also contributed small parts for other shows around this time, including bits and pieces of X Clamp Characters File and the ED for Clamp School Detectives. She also collaborated with Production I.G. on the short film Noiseman Sound Insect in 1998. The ED in particular, is noteworthy, featuring vocals by a budding Crystal Kay Williams, who would go on to perform in more prominent anime down the line. But 1998 offered more than just a long-forgotten I.G. film. It was a big year for Kanno, where heavy hitters like the opening themes for Record of Lodoss War: Chronicles of the Heroic Knight and Cardcaptor Sakura landed on her list of projects. A return to the Macross franchise also followed, with the sweeping “Angel Voice” for Macross Dynamite 7. And, of course, there was Sunrise’s Brain Powerd, which allowed Kanno to flex her orchestral muscles and deliver a score noted for its majesty and scope. Brain Powerd’s subtle, complex orchestrations and creative flourishes impressed listeners. Though the show itself received mixed reviews and was not a huge success, the OST had lasting value. “Power of the Light” was one of the highlights, shocking us with Kanno’s ability to compose something so complex and intricate without formal training. The song moves at breakneck speed and is reminiscent of certain ultra-modern wind ensemble pieces, driving towards a soft, emotional ending. This is regarded as one of Kanno’s most underrated works; most blame the less-than-stellar show for casting a shadow on her excellent score. But nothing – and we mean nothing – could compare to the juggernaut anime of 1998, which was none other than Cowboy Bebop and was arguably the greatest and most far-reaching of Kanno’s work thus far. The soundtrack for this watershed series rocketed Kanno to near super-stardom in the anime community. Never before was a composer so crucially and lovingly associated with an anime series’ success; nary a review of Bebop failed to mention the jazz-inspired soundtrack as a major factor of the show’s quality. From the opener “Tank!” to the insert songs to the ED “The Real Folk Blues,” the sheer audacity and effectiveness in the OST’s execution left many (especially Aftershok) in awe. What was particularly notable about this soundtrack was its reach. People who had never seen the show or even heard of anime found themselves enamored of the energy and mood of the songs Kanno composed. In terms of worldwide success and universal appeal, few composers matched the feat that Kanno accomplished through Cowboy Bebop. Kanno would return to Bebop once more for its sophomore run in the feature film Cowboy Bebop: Knockin’ on Heaven’s Door. Though still strongly rooted in jazz, Heaven’s Door’s soundtrack leaned more toward vocal pieces and had a more rock-inspired feel. It’s generally regarded as an excellent complement to the show’s OST, which centered more around instrumental big-band arrangements. 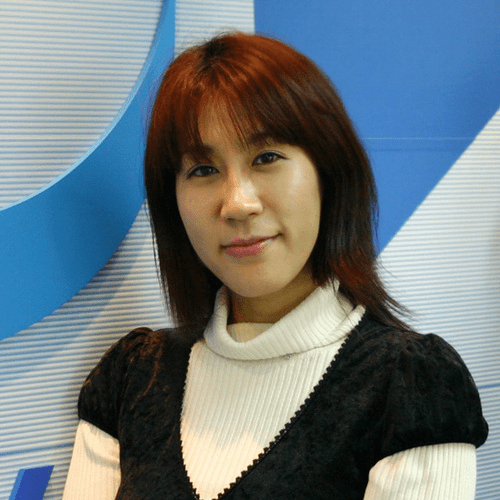 Riding that wave of success, she returned to mecha by becoming yet another successful Gundam franchise composer by scoring the ∀ (Turn A) Gundam soundtrack. Of the tracks that shined, none stood out more than the “Memory of Military Boots,” a glorious theme that reminded us of why she’s often compared favorably to John Williams. On the flip side, she also delivered the poignancy and introspective feel through the “Moon” theme which imparted a wonderful sense of lightness unto the listener. As a plus, “Moon” is performed by Gabriela Robin, or Kanno herself, as we’d prefer to call it, demonstrating her range of expression. Although the soundtrack does contain some tribal-like chants (your mileage may vary), it’s the orchestral tracks that once again, show what Kanno’s capable of. All of these successes gave her more room to experiment, allowing Kanno to gladly take the plunge with Earth Girl Arjuna, where she delivers her interesting take on Indian music through a more modern lens. This was most evident in the second track, “Awakening” which included some really weird chanting with electric guitars backing it up. The sense of drama still existed, but in terms of it being conventional it most certainly wasn’t. Overall, traditionalists will be drawn in by the whimsical, outworldly tracks like “Clóe,” while some of the more chant-heavy songs fused with those Indian influences will appeal to those looking for something different. It’s more experimental than most of her works and so, the ability to tolerate this eclectic brew of chants, guitar distortions, and whimsy will lie at the core of whether you’ll enjoy the experience or not. The experimentation continued in Ghost in the Shell: Stand Alone Complex where Kanno dabbled in more modern genres, most notably, techno, trance, and harder-edged rock. Kanno’s goal was to bring a human charm to Ghost in the Shell’s cybernetic/robotic world and she largely succeeded. Whatever impressions one may have about the CG opening, there’s no doubt that the ethereal OP song, titled “Inner Universe” and sung by Origa, made for a solid entry that immersed the viewer in this mechanical future while other tracks like the spine-tingling “Torukia” expanded the scope of what it means to be human through its vocals, which moved from a tribal chant to a full-blown chorus. In Wolf’s Rain, Yoko Kanno made a return to the orchestra as her medium of choice for bringing out the moments of tenderness and euphoria while also conveying the awesome scope of the journey the characters undertake through sweeping orchestral classics like “Shiro, Long Tails” and “My Little Flower.” But in keeping with her idiom, she continues to explore other musical genres and her explorations yield plenty, fusing the soundtrack with a Latin flavor while scattering about some New Age guitar music, and tribal flutes and rhythms. Next up was Kawamori’s Sousei no Aquarion, a show with some of the silliest pilot combining sequences ever. Nevertheless, the soundtrack was anything but silly as it featured some hard-hitting tracks that are among Kanno’s best. Once again, the orchestral pieces formed much of the album’s base, but, while the mixture of piano, strings, and orchestra continue to shine, the choral works, which haven’t been featured as prominently in Kanno’s scores since Escaflowne, made a triumphant return, lending an air of majesty to the mecha fights that took place. Of all the orchestral pieces that appeared in the soundtrack, nothing shone quite like “First Love Final Love,” a piece that incorporated orchestra and chorus into such a glorious combination that it may very well be the best finale piece that Kanno had ever written. In contrast to the highly-praised orchestral portion, her stylistic exploration in Aquarion is much more mixed, with very prominent electronica and heavily distorted synth tracks. Of those, none have really stood (to us at least) as being particularly memorable and play second fiddle to the soundtrack’s orchestral backbone. Her Darker than Black score was another instance where Kanno’s experiments in other genres met with mixed reactions. Stylistically, half of the music was improvisational jazz with a Spanish or Latin flavor. “Highheel Runway,” for example, could very well be a lively Brazilian bossa. Unfortunately the atmospheric nature of improv didn’t give the tracks any direction. While the jazzy rhythms DtB utilized are nostalgic of Cowboy Bebop, there is no clincher track with the attention-grabbing ability that “Tank!” had. However, what truly brings the album down (in a few eyes) is the rock music which made up the other half of the album. “Outside,” the most notable of these, contains an electric guitar that screams aimlessly, to the listener’s chagrin, throughout the track. All in all, the grungy sound became such a messy affair that the rock tracks are better avoided. In spite of her mixed record with DtB, Kanno made a triumphant return in her soundtrack for Macross Frontier, which recaptured the commanding orchestral sound that has endeared her to many. Here she borrowed stylistically from many Western film composers (especially the intensity of Hans Zimmer and the majesty of John Williams). She even pays tribute to the former, quoting Pirates of the Caribbean (or Gladiator if you prefer) in “Tally Ho!” Nevertheless, the pieces are clearly her own as she skillfully drew on the power and versatility of an orchestra. Very few anime can boast a soundtrack with pieces like “Take Off” which recreated the epic nature of, well, a take-off. Nor have I heard another composer beside Hisaishi utilize an entire ensemble to create a playful atmosphere like that in “Test Flight Delight”. Macross Frontier truly delivered an enthralling experience all around, demonstrating Kanno’s remarkable skill and ingenuity. Macross Frontier – TALLY HO! No Kanno discussion would be complete without a mention of all the pop music she’s composed either. The most iconic of her works probably are the ones performed by Maaya Sakamoto and, more recently, May’n. As we said above, Kanno’s collaboration with Sakamoto dated all the way back to 1996, with the single Yakusoku Wa Iranai for Escaflowne. Sakamoto’s gentle voice lent itself excellently to many of Kanno’s works, with the most memorable ones including “Gravity” from Wolf’s Rain and “Hemisphere” from Rahxephon. “Gravity” is especially poignant, with a sense of uncertainty brought about by Sakamoto’s expression and the repetitive piano chord drumming out the despairing monotonicity of it all. One cannot do justice to the song with words; it’s a song that achieves the rare feat of reaching directly into the listeners’ hearts through the composition and performance which convey the emotions that come from the artists’ themselves. While Sakamoto brings out the more relaxing and introspective feel of Kanno’s works, May’n shines in the pop-rock pieces. With a rather thin and reedy voice, May’n shines in faster tracks like “Nothern Cross” and “Lion,” where one can feel her passion pulsing through (and even more so during her outstanding live performances). While lacking the ability to age as well as works of Sakamoto, it does rank rather high on the enjoyment factor, if one is not bothered by the thin quality of May’n voice. And for a quick assessment of how her works have gone, check out page 2 where you get a breakdown by each staff member’s thoughts. Wow! What an excellent description of the work of the greatest composer of our generation. I really admire your command of the scope of Ms. Kanno’s ouvre, as well as the effective style of presentation. As for Ms. Kanno herself, :bows: what can be said? I admire her not only for her incredible talent, but also for the enormous bravery she exhibits by exploring music in such a variety of genres. I think I have said this before, but I really feel fortunate to have been born in this age so that I can enjoy her compositions. When people ask what I like about anime, one of the first reasons that come to my mind is that it introduced me to Ms. Kanno’s music. These articles (for me at least) are sort of an excuse for me to concentrate on a specific composer’s works for at least a month and it’s been a blast soaking in the nostalgia or delving into some obscure title just to check out what music it has to offer. In terms of Kanno, I think almost anyone who’s watched a Kanno-composed show will be able to recall that one time they were entranced by a Kanno track. For some, it came in Cowboy Bebop’s “Tank!” Newer fans might get it from some spectacular melody from Macross Frontier. But none will forget the experience. I think a big part of the draw is the nostalgia factor, just being able to close my eyes and let stuff like Dance of Curse evoke the image of Van’s battles in Escaflowne or feel the sense of epicness rise up when faced with the advent tracks from Turn A Gundam. Glad you enjoyed the musical meal we’ve served up! I LOVE these monthly features. When I was starting in my fandom, I learned composers names before directors or voice actors. In a way, it’s both very informative and nostalgic. Oh, I absolutely love the Wolf’s Rain OST. I haven’t actually watched the series yet, but the music has earned my love time and again. I love the Wolf’s Rain OST as well ^_^ SAO (animeorchestra.org) has a really good arrangement of the ending theme for classical quartet with most of the melody featured on Clarinet. SAO is also playing Tank! at Project: A-Kon this year, I am really excited. Kanno’s track record, to put it punningly, have been quite sterling! It’s a good series and through the music, you can definitely feel the scope of the odyssey and I do hope you enjoy it! Send if my way if you please since my detective skills can’t seem to find it in youtube form. Also, I do hope you guys do well at A-Kon this year. Might have to send a few questions your way since the stuff you guys do seem to be right up my alley. Wow, she really is one of the most prolific and diverse composer. It seems I’ve been listening to a lot more of her music in anime than I even realize myself. I only knew GITS and Bebop. Didn’t realize Escaflowne and Wolf’s Raine were hers too, and I really enjoyed the music in both those series. Glad you got something from this. It was a lot of work from our staff in putting this together, but hopefully this huge list gives you a few more works to check out down the line! Wow, first Kajiura Yuki, then Kanno Yoko? I feel overjoyed. What would be even more awesome would be to continue with Tenmon and then Kousaki Satoru. Are you sticking with OST’s, or also mainly pop-song single composers? Then supercell would be excellent. If you guys did game music you should do ZUN, too. Oh, I forgot Maeda Jun. So yeah, out of that, Maeda and Tenmon are definitely going to be on that list. Too bad she has plagiarised most of her masterpieces.